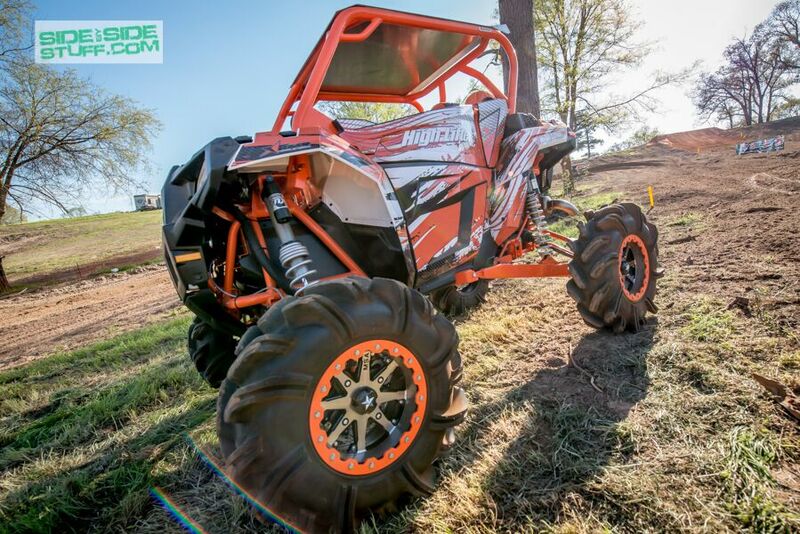 Check out the latest creation from High Lifter Products, its their mega custom Polaris 1000 Ace. It all started out last year when Scott Smith, the owner of High Lifter Products, started kicking around ideas for a build to be revealed at the 2015 High Lifter Mud Nationals event. 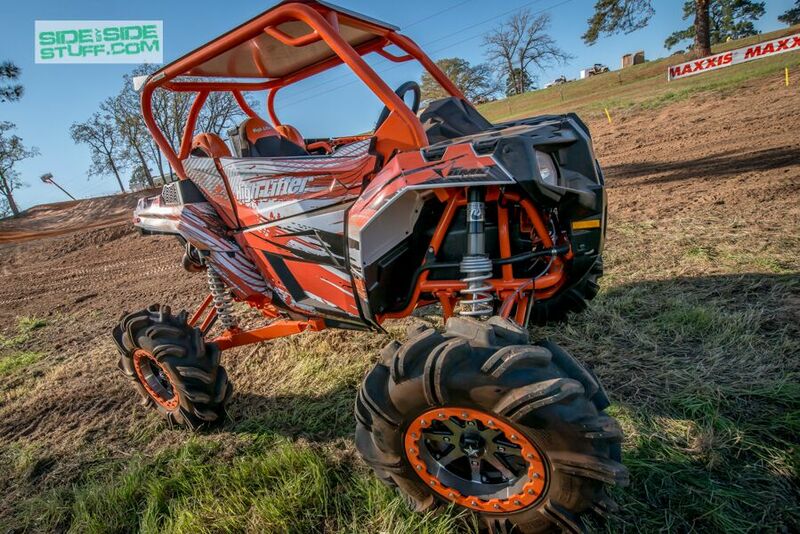 It was Jesse Johnson, High Lifter’s head fabricator, that had the idea to turn a 2015 Polaris 570 Ace into a one off custom 1000 Ace monster dubbed the “Spider Monkey”. 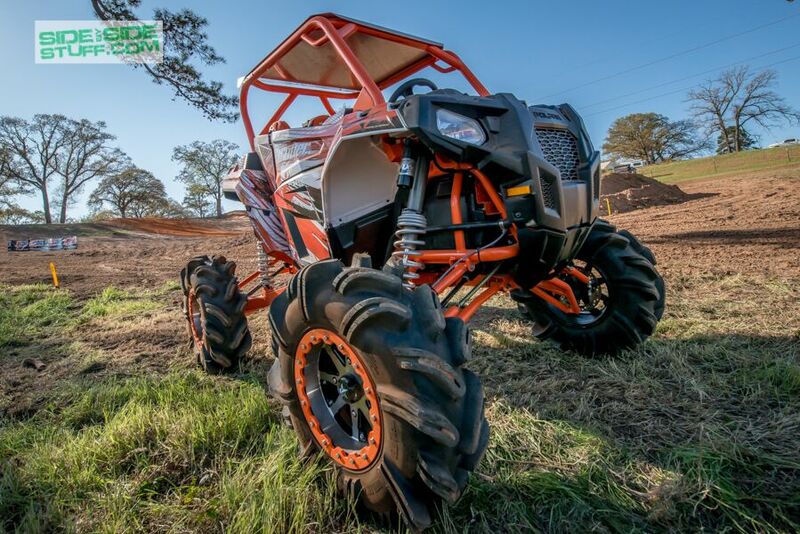 It took Jesse and his crew at the High Lifter Outlaw Garage four months to transplant the new RZR XP 1000 engine and Polaris High Lifter Edition gear box into the totally redesigned Ace frame. Custom front upper control arms and shocks off of a RZR 900 were installed converting the factory strut single arm system into a much better performing dual a-arm system. Rear RZR XP 1000 trailing arms were modified to fit allowing Jesse to use off the shelf High Lifter suspension lift kit. 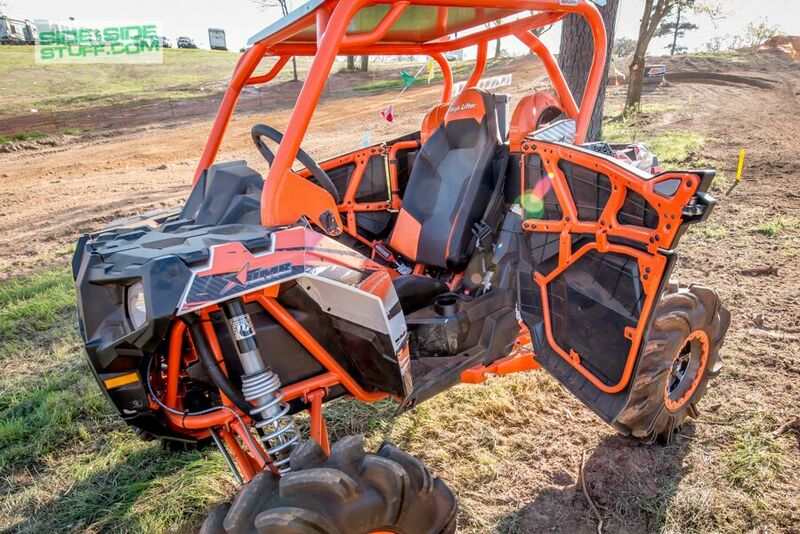 A custom roll cage and roof were also fabricated as well as adding a custom stitched RZR XP 1000 seat in place of the original 570 Ace seat. 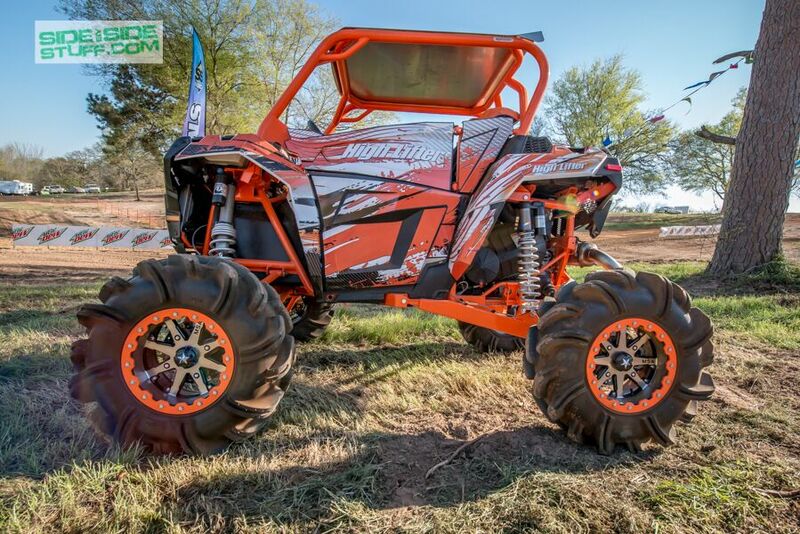 A set of 29.5” Outlaws were mounted on a set of MSA M21 Beadlock wheels. Power steering and a set of Polaris doors were added before the crazy paint job was added. AMR Graphics created the custom graphics kit to give it the totally custom look. 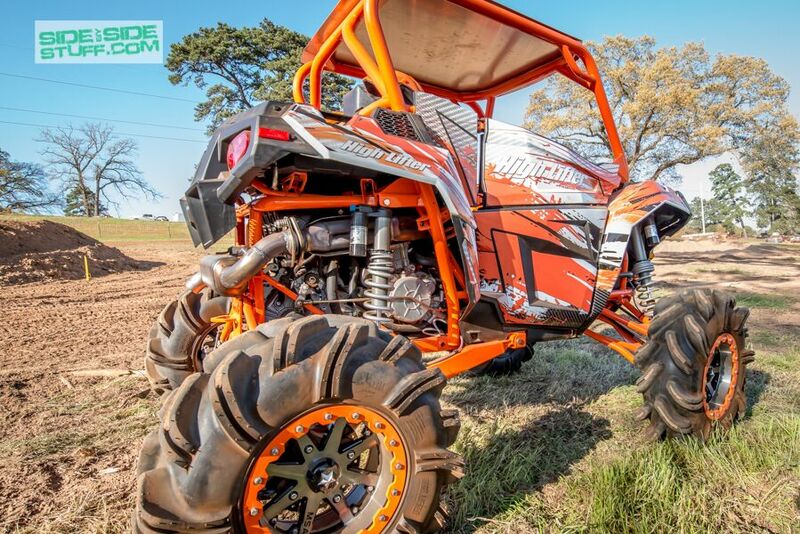 High Lifter Products really out did themselves on this custom UTV, their Ace Spider Monkey 1000 is a real show stopper!